What makes Platelet-Rich Plasma PRP injection therapy the best option for hair regrowth? 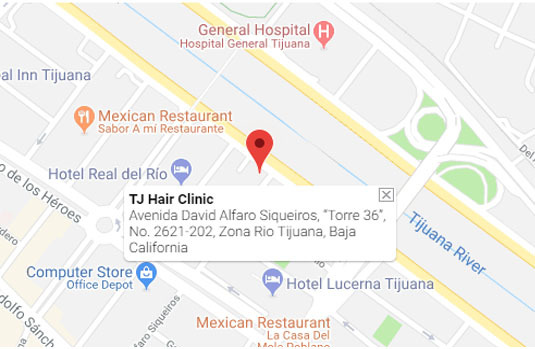 What makes TJ hair Clinic in Mexico the best choice for your Platelet-Rich Plasma or PRP Injection Therapy? The success rates for this procedure is very high when proper concentrations are applied, and the right health conditions are present. The level of success will ultimately depend on various factors including eating habits, health condition and regular maintenance, however, this procedure continues to be one of the preferred and internationally recognized due to its high effectiveness and low risks. Yes, this works great for both men and women. 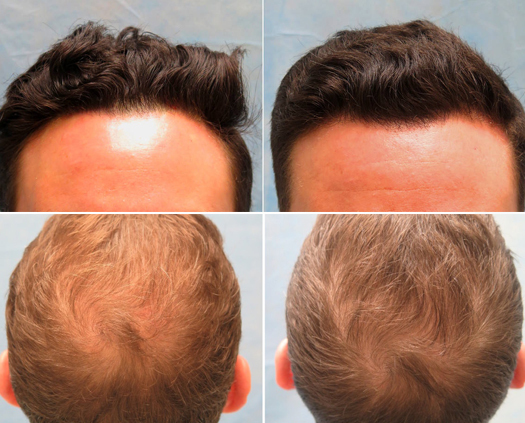 Once the initial transplanted hair sheds in a few weeks after the procedure, typically between 6-10 weeks to shed, the new permanent hair will grow back stronger and healthier with maximum benefits obtain in 6-8 months after the procedure. This process can vary by patient based on their own natural hair growth cycles. Each session is $350 usd. Our 4-session treatment package is $1,200 usd. when paid up-front. Is PRP Therapy the same as Stem Cell Therapy for Hair Loss? No, from a hair restoration perspective, PRP therapy gets often confused with stem cell therapy for hair loss because the Platelet-Rich Plasma (PRP) contains growth factors and other nutrients that are often marketed as stem cells creating some confusion. We often hear PRP injections and stem cell treatment grouped together in regenerative medicine to treat orthopedic injuries but the process for each therapy is different. at TJ Hair Clinic we understand hair makes all the difference and we want to help you with this life changing process. Book your PRP Hair-Loss Injection Therapy today! What are platelets and why are they helpful in hair-loss? Platelets are the cells that circulate within our blood and bind together when they recognize damaged blood vessels, these Platelets contain Growth Factors which are natural substances capable of stimulating cellular growth, proliferation, healing, and cellular differentiation. Growth Factors are important for regulating a variety of cellular processes including hair growth. The PRP hair-loss therapy begins with a medical evaluation to assess the patients’ health condition, once this is done, the medical team will extract blood from the patient which is then centrifuged to separate the platelets which contain the nutrients, finally the platelets are applied into the scalp to help nourish and restore follicular damage. This procedure takes 30-45 minutes per session. The full treatment is usually 3-5 sessions, one month apart from each other, for maximum benefit. Many times, patients decide to continue doing this regularly as a preventive treatment and will continue applying once every other month after their initial treatment, which will help maintain the hair in the best possible condition and prevent future hair-loss. Each session is $350 usd. Our 4-session treatment package is $1,200 usd. when paid up-front. to $6,000 usd. Is the PRP hair loss therapy different than conventional PRP therapy? The preparation part of the process in which the platelets are separated from the blood cells is the same for all PRP therapies, however the application is slightly different do to the sensitivity of the scalp which requires specialized process. Is PRP injection therapy better than the FUE transplant? Both are great proven solutions but for different cases and types of baldness problems. Platelet-Rich Plasma or PRP injection therapy works for non-severe cases of allogenic alopecia to nourish and improve small problem areas, for severe cases and bigger problem areas, the FUE Hair Transplant will be the best option. Each session last about 30-45 minutes, and the full recommended treatment usually about 3-5 sessions one month apart from each other. However, many patients who have alopecia run in their family, continue doing this procedure regularly to prevent the future hair loss and maintain healthier looking hair. Okay I’m ready, how can we setup an appointment for this treatment? Once we have received and evaluated your pictures, we just need to schedule your appointment, there is no deposit needed for this treatment, the payment is done in-person the day of the appointment.